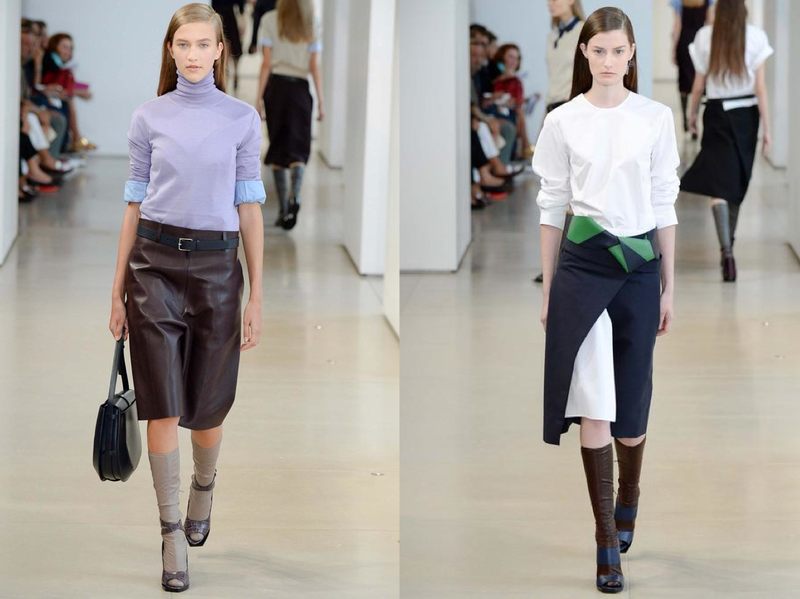 Jil Sander is one of the shows I look forward to most during Milan Fashion Week. Despite the unbreakable pattern of having a new creative director making the headlines every season before the clothing actually makes it to the runway. Hopefully, this time is when they’ve finally gotten it right. All eyes were on Rodolfo Paglialunga, who has taken over following the departure of the label’s founder for the third time last year. After being the former womenswear design director at Prada, Paglialunga had an extremely big job on his hands. As many of us know, Jil Sander comes with some hefty baggage — Raf Simons whom made the label something of a cult in each their own right. Tomboys rejoice, in the chicest way possible. This time around, for the first collection for Jil Sander — Rodolfo Paglialunga delivered on the crisp clean minimalism the brand know for, not that there wasn’t any newness. Menswear influences were big, as seen in crisp button downs, tailored trousers, and bermuda shorts. The structured dresses and skirts with wide slits were more feminine, but still had a tomboyish attitude. Aside from the unintential color-blocking of some sort, geometric jacquards broke up the mostly solid colored collection. Things got very interesting below the knee, when leather flat and heeled sandals were paired over thick nappa leather socks. Yes, you heard that correctly, leather socks people. 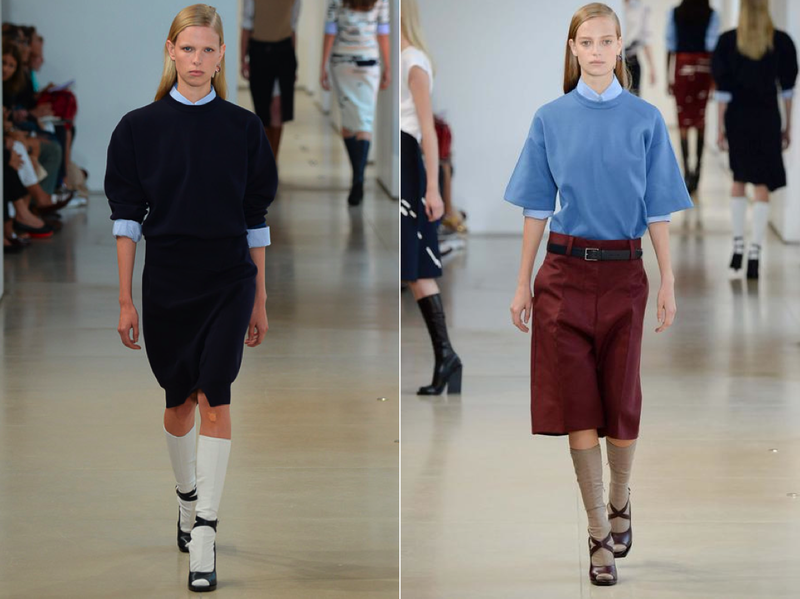 At times, it felt as though we were given a little bit minimalist Prada — who has also shown sweater vests, knee socks, and such this week. That shouldn’t come as much of a surprise given the fact that Paglialunga used to design for the brand. Knowing what we know now, I think that we all can agree that this was the strongest collection of Milan Fashion Week. Right? For those of us who were both shocked and disappointed when Jil Sander announced her departure for the third time, including myself. We can all get some sleep knowing that the brand is in good hands and this time, the creative director will stick. Something about this just feels right, and for once in a really long time — the brand has gotten its groove back by presenting pieces of the brands standards that we’ve known to appreciate in the past. Now its your turn, what do you think about the collection? Tell me everything, leave nothing out. Go!